Sunset Villa Inn Pantai Cenang i Langkawi, Malaysia: Reservér nu! Located at Pantai Cenang Langkawi. 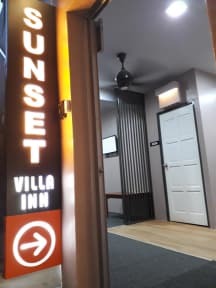 Sunset Villa Inn provides 13 rooms - 7 Standard Rooms, 2 Standard Sea view rooms, 2 Standard Street view Rooms and 2 Family Rooms (max 3 adults). Availability based on the occupancy. Walk In, Online Bookings and Phone Calls are accepted, just give us a call and we are at your service. 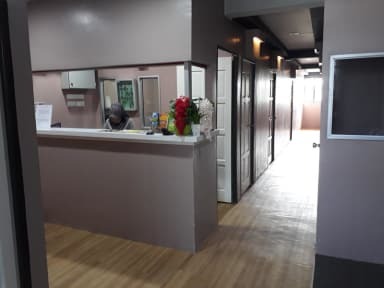 All rooms are equipped with flat screen TV,air conditioning, in house free WiFi and coffee and tea maker, fridge, hot shower, hair dryer & private bathroom. We are able to arrange beach actives, jet skiing, parasailing, and kayaking etc., jungle/mangrove trips and private island tours. Cancellation policy: At least 2 days advance notice for free cancellation. Payment upon arrival by cash and Card.